(0 Customer Reviews) | Write Review 13 issues per year Get out more! For as little as £2.30 per issue, we provide all the inspiration you need to plan your next trip, plus expert reviews and tips. The Great Outdoors is for anyone who loves walking in the hills, mountains and wild places. 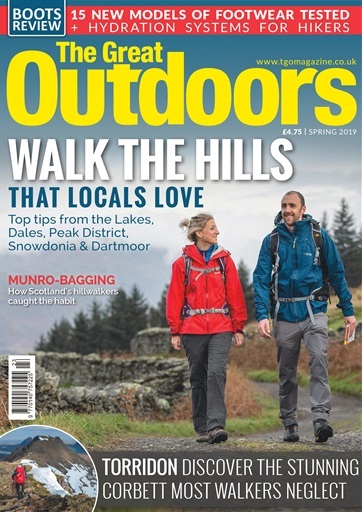 With information on the latest gear, in-depth features and stunning photography, The Great Outdoors will help you access the high peaks and long trails of Britain and beyond. Our enhanced digital addition includes even more great photos and interactive content. - Enjoy exclusive PHOTOGRAPHIC GALLERIES, VIDEOS AND INTERACTIVE LINKS. -	You can download the latest issue, back issues until July 2011 and one off specials like The Great Outdoors Guide to Hillwalking in Scotland. -	Added content including: exclusive photo galleries that give you access to additional photography, first hand action videos and tips from adventures and walks PLUS interactive links to competitions and articles online. 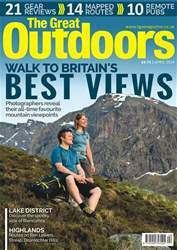 Looking for TGO - The Great Outdoors Magazine in print? Unfortunately pocketmags.com does not sell print copies of TGO - The Great Outdoors Magazine, but all is not lost. Our partner at magazine.co.uk sells print subscriptions at the best prices online. Get out more! For as little as £2.30 per issue, we provide all the inspiration you need to plan your next trip, plus expert reviews and tips. Pocketmags is the one stop shop for all our digital editions. Compatible with Android devices, it ensures all your issues are safe even if you lose or replace your device you can simply login on your new device to access issue. It also enables browsing on multiple devices and platforms. Users can register for/ login to a Pocketmags account in-app. Existing Pocketmag users can retrieve their purchases by login into their account. 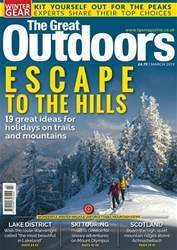 You'll receive 13 issues during a 1 year TGO - The Great Outdoors Magazine magazine subscription. You'll receive 13 issues during a 1 year TGO - The Great Outdoors Magazine magazine print subscription.